This is a comprehensive course in preparing files for print. You should be an intermediate user of Adobe Lightroom, comfortable with managing your files and familiar with where the tools and controls in Lightroom are. Everyone will be making 8"x10" proof prints, and will have the opportunity to have a final, larger metal print created by a local lab in Santa Barbara Photo Printing Pros. There will be two sunset shoots planned, based on weather conditions. Lunch is included and Muench Workshops has several recommended hotels that will be close to the conference space. This is a great opportunity to come learn how to take your image making art to the next level, fine art printing! March 27, 2020: 8:30 AM doors open, 9:00 AM class begins, 12:00 PM Lunch break, 5:00 PM depart for evening/sunset shoot - depending on weather. March 28, 2019: 8:30 AM doors open, 9:00 AM class begins, 12:00 PM Lunch break, 5:00 PM depart for evening/sunset shoot - depending on weather. March 29, 2019: 9:00AM class begins, 12:00 PM Lunch break and visit to local print lab, 4:00 PM Workshop concludes. 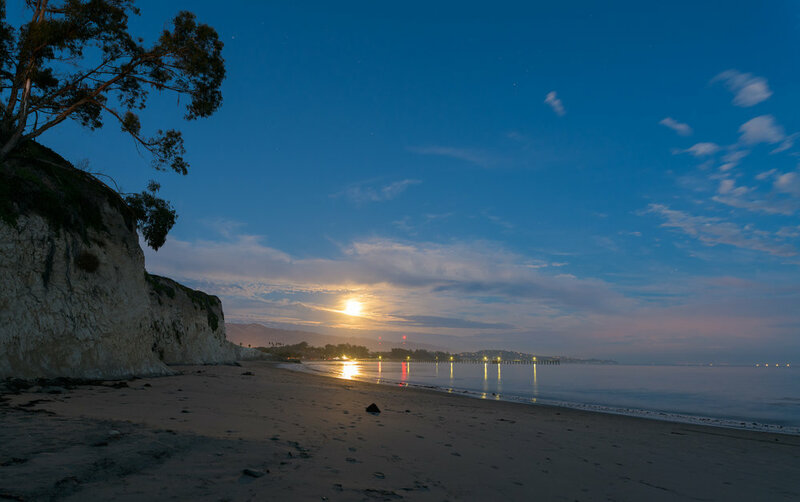 Travel to and from Santa Barbara, California. Transportation, lodging and meals (aside from lunch, which is included). Items of a personal nature. Anything not specifically listed as included. Your deposit of $1,000 will hold your space in this workshop. The balance of $1,250 will be due not later than December 1, 2019. All other Muench Workshops Terms and Conditions apply. Need special payment arrangements for your deposit? No problem, just ask us.